Abraham Kuyper (1837-1920) was a Dutch pastor, theologian, journalist, educator, and Prime Minister of the Netherlands. Though we don’t embrace all of Kuyper’s doctrine, we do recognize his indispensable contributions to Calvinism as an all-encompassing worldview. Many Christians are familiar with the Doctrines of Grace, the Five Points of Calvinism, or T.U.L.I.P. In other words, many Christians are familiar with the soteriological emphasis of Calvinism. While eternal salvation is certainly the ultimate concern for every man, Kuyper sought to reacquaint men with the cosmological implications of Calvinism as well. God’s redemptive story happens in time on earth among people and His people should study the whole drama: the plot, the characters, and the theater. To speak about Kuyperian Calvinism then, is to speak about God’s sovereignty in salvation and in everything. In other words, Kuyperian Calvinism is just an explicit insight about Calvinism, and Calvinism itself is just a nickname for the Biblical truth that Christ is Lord over all. 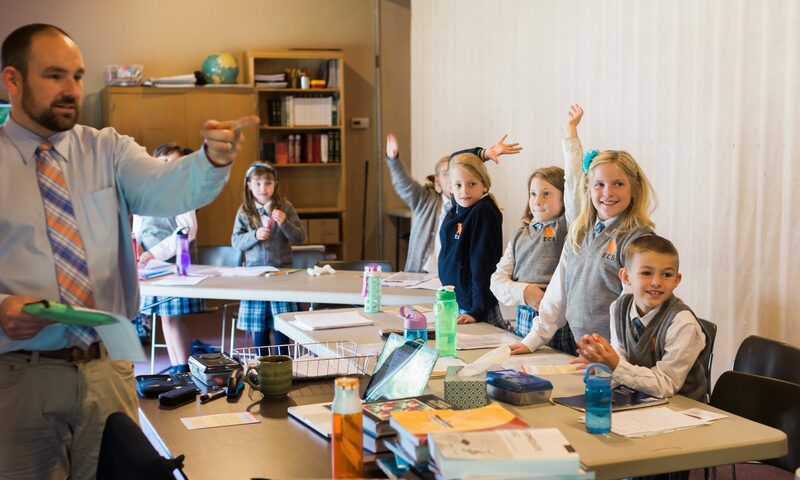 At Evangel Classical School we educate from and toward a Kuyperian view of the world (or, simply stated as a comprehensive Christian worldview), seeing every subject as the Lord’s and studying in order to be more faithful image-bearers and worshippers of Him.